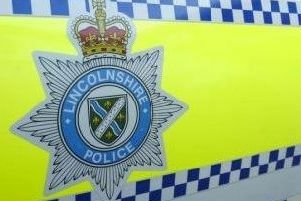 Horncastle Police are teaming up with a leading firm of solicitors next week to stage an event to tackle the issue of domestic abuse. The town’s ‘Community Policing Matters’ initiative has proved to be a big success and recently turned the spotlight on the problem of scamming and rogue traders. As part of the on-going project, police will have a stall at Horncastle Market next Thursday (November 10) and will be joined by specialist domestic abuse staff from Ringrose Law. They will be on hand to offer advice to anyone who has, or is, suffering domestic abuse. Solicitor Nichola Skayman said: “Statistics show Christmas - and the build-up to Christmas - is the peak time for domestic abuse. There are various reasons for that - increased financial pressures, family problems and alcohol related incidents. Staff at Ringrose have also organised a shoebox-style appeal to support refuges across the county which house victims of domestic abuse. Town-based PCSO Nigel Wass said police were delighted to welcome Ringrose on board. He said police were keen to involve as many different ‘partner agencies’ as possible in the community project.